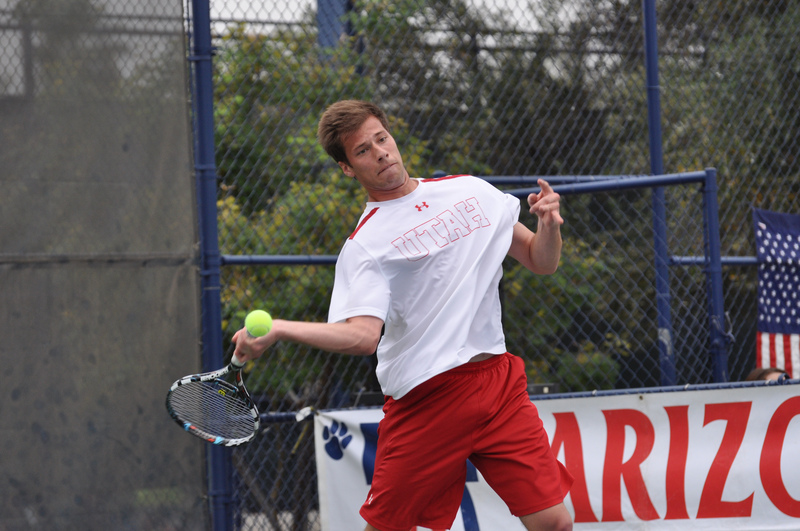 The University of Utah men’s tennis team announced Tuesday that graduating Senior Ben Tasevac has won the team’s Most Academic Award for the second consecutive year. The team’s Most Academic Award is given to the student-athlete with the highest GPA over the academic year. Tasevac boasted a 3.715 GPA during the 2013/14 academic year and has graduated with a degree in Exercise and Sports Science. In late May, Ben became the first Ute in program history to earn First Team All-Academic Pac-12 status. Tasevac joined the team in 2011 as a 2-star walk-on recruit and worked his way up into the starting lineup. In 2013 he earned an 18-7 (23-10 overall) record from the No. 6 position, with wins over USC, Cal, Arizona, Oregon and Washington earning him the team’s MVP award. In 2014 he went 15-14 from mainly the No. 2 position and had one, unfinished, stint at No. 1 singles against Cal Poly. He earned wins over Stanford, Oregon, Arizona and clinched matches over BYU, New Mexico and Nebraska. Academically, Tasevac has led the team the past two academic school years with the highest GPA, earning him ITA Scholar Athlete status twice. He has taken the MCAT and is preparing to apply for medical school. Good luck in your future studies and keep up the great work, Ben! This entry was posted in Awards and tagged Ben Tasevac, Most Academic Award, Roeland Brateanu, Utah Tennis. Bookmark the permalink.